Our football cannons continue to be hired for a wide variety of assignments be they filming for You Tube, TV programmes or advertising. The beauty of the machines is that they can deliver a football to a set point with accuracy and speed and are far more reliable than even the most gifted footballer. 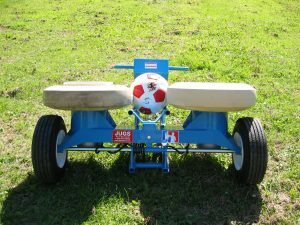 We are the UK’s leading hirer of ball machines for football and welcome all types of enquiries. The Russell Howard Hour: Russell has a competition with his friend to score volleys past David Seaman. Our machine is used to deliver the crossed balls. 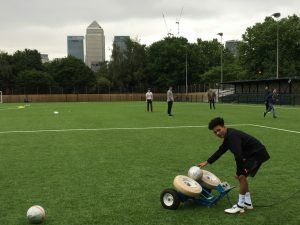 Puma Boot Launch: Professional Footballers, Celebrities and Influencers are invited to a London street venue to take part in a series of football challenges whilst trying out Puma’s new boots. Soccer AM: 1. Balls are fired at Chris Kamara as he takes one for the team 2. Fans of the Week attempt to score volleys into the goal. Whilst those following on Facebook Live guess the number of goals scored. Pepsi Max Advert: Players stand in a circular pit as balls are fired from 6 positions as they demonstrate control and shooting. 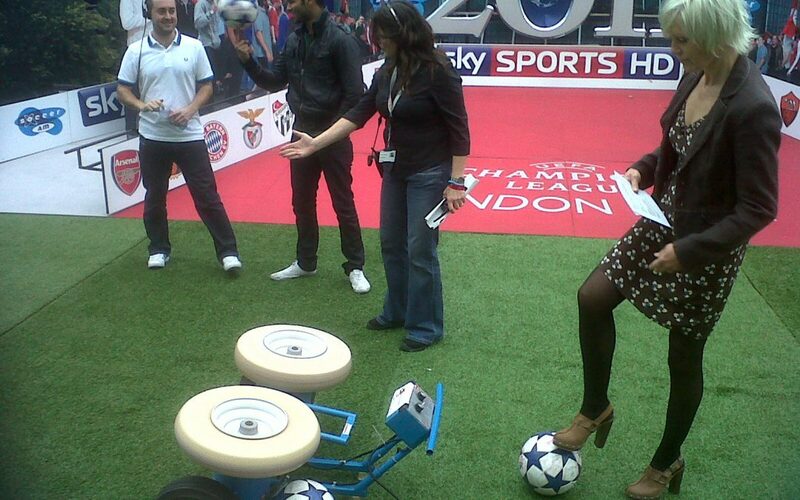 The Last Leg: A disabled viewer fires miniature Space Hoppers at co-presenter Alex Brooker. 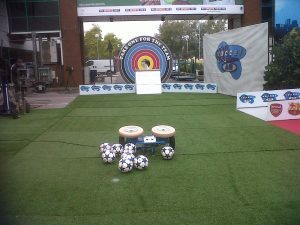 We also use the cannon for our Bouncy Goalie inflatable game or it can be used for its intended use of training goalkeepers and players. Football Cannon’s are also avaialble for sale. Click the link for pricing information.